After decades of fighting to keep oil tankers off BC’s north coast we can finally celebrate as federal legislation to ban supertankers was introduced this month in Ottawa. We will always have to fight to protect wild salmon in the Skeena Watershed, but today your hard work has paid off! Thank you for standing up for wild salmon! Oil Tanker Moratorium Act Introduced in Ottawa! 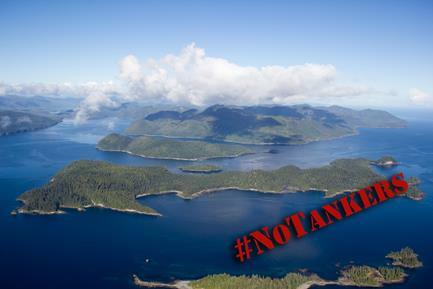 After decades of calls to protect the sensitive ecology of BC’S north coast, the federal government introduced the Oil Tanker Moratorium Act signaling crude oil tankers have no place in the Pacific Northwest. The proposed Act will ensure no oil supertankers carrying more than 12,500 metric tonnes of crude and persistent oils will pass through Dixon Entrance, Hecate Strait or Queen Charlotte Sound. Although this isn’t a silver bullet to keeping all oil products out of BC’s northern waters, it’s a start, one we should take the time to celebrate! For the full text of the Act click here. For more history on the formation of the Act, click here. 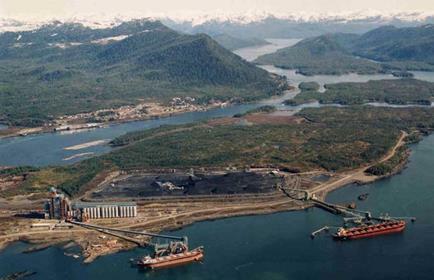 The Pacific Futures Refinery, proposed for a site half way between Kitimat and Terrace, will be reviewed by a joint provincial and federal panel as it continues through its environmental assessment. The proposal calls for 120 car train, three to four times per day, carrying 200,000 barrels of oil in the form of NEATBIT, a solidified form of Bitumen that needs to be heated before it's loaded on to rain cars. The refinery would have a 10 km footprint on the Dobuse Flats. The claim is that the refinery will use the cleanest technology in the world to produce various forms of petroleum to be shipped on tankers via Kitimat. These promises add considerable costs to the project. 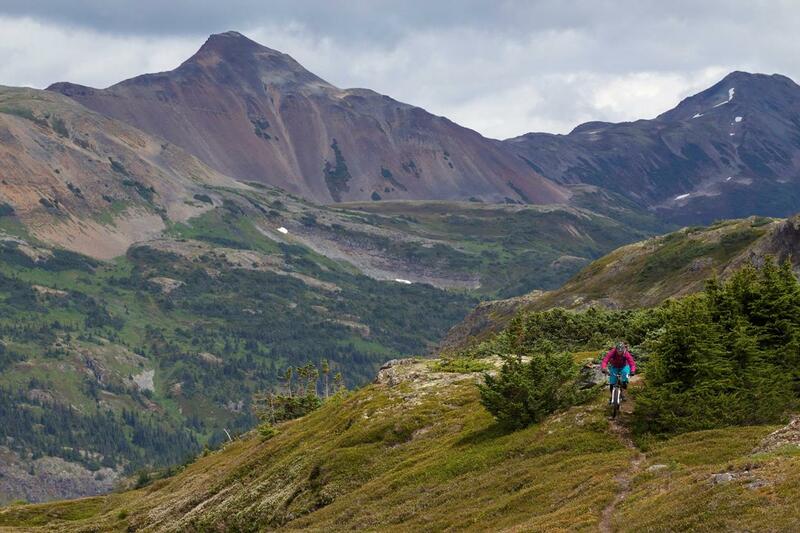 It is uncertain whether they will be followed once an environmental assessment certificate is issued. This project brings with it a whole array of risk factors to air quality for Kitimat and Terrace as well as safety issues with transporting heavy bitumen on rail lines. 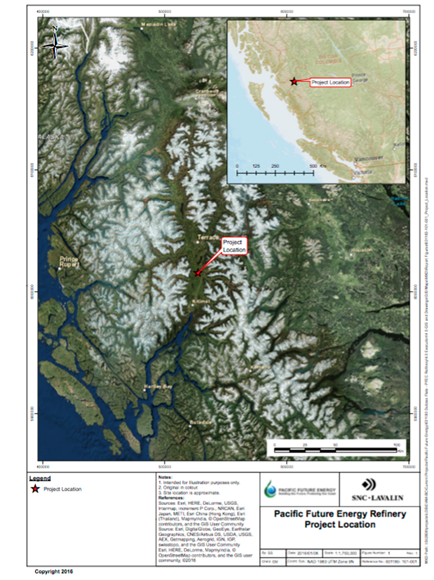 The refined products are extremely toxic, and pose serious risks to marine life in the Douglas Channel and to the Kitimat and Skeena watersheds. Stay tuned for more on this project in the coming months as we prepare to engage with the Environmental Assessment moving forward. SkeenaWild is giving away some of the best fishing gear around with the Great SkeenaWild Giveaway Contest on until June 30th. 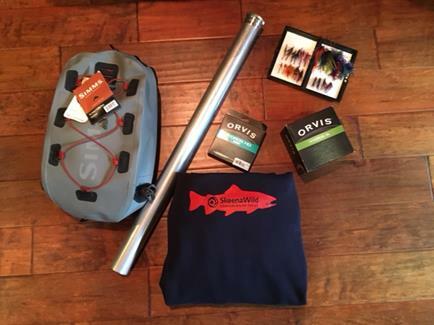 All you have to do is sign up for our newsletter and you’ll immediately be entered into our draw for a chance to win: An Orvis Recon 5-weight 9’ Fly Rod with case, Orvis Hydros SL Reel with Orvis Hydros HD Trout Fly Line, a Simms Dry Creek Z Sling Pack, Hand-tied flies (by our very own Skeena Fly Tyers) in a case, and a SkeenaWild Hoodie! Enter today by clicking here! Is Petronas Moving its LNG Facility to Ridley Island? According to Bloomberg news, Petronas is in discussions with Royal Dutch Shell to relocate its proposed Pacific Northwest LNG facility to Ridley Island after legal challenges were launched by Indigenous groups and SkeenaWild following the federal governments approval in October 2016. As opposition pressure continues to mount, and a new provincial government increases uncertainty, Petronas is considering its options in reducing costs by moving the facility off the sensitive areas of Lelu Island in the Skeena Estuary to an abandoned Shell site on Ridley Island. Although nothing is set in stone it is encouraging that the continued opposition to the project has Petronas reconsidering its plan. Read the full Bloomberg article here! The Invisible Migration has begun! Last week, Lake Babine Nation celebrated the beginning of the migration in Lake Babine as smolts head for the ocean, passing by every community on the way! Today the celebration is in Hazelton at Ksan Historical Village and then next week the celebration will be in Port Edward. 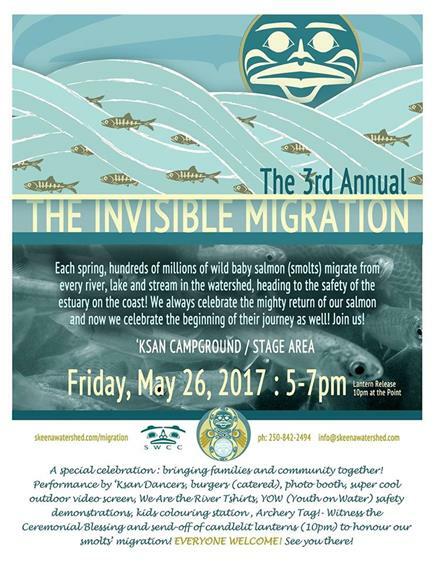 Come Celebrate the millions of baby salmon as they make their journey down the Skeena River to the Pacific Ocean! 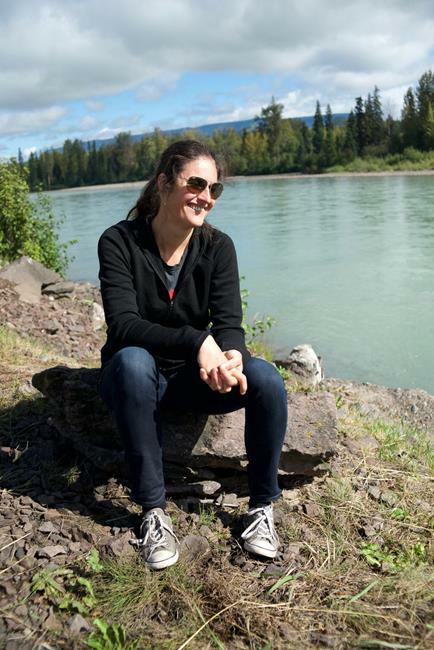 “During our trip down the Skeena, every community we stopped in, they always had salmon for us to eat. Some of these communities were very poor, but they still brought salmon to the table. Above all else, salmon is what connects our communities, it’s what binds us together.” – Ali Howard. A huge shout out to Andrea Harmel and Kory Yamashita of BUTTER salon whom donated $360 from their Earth Day promo last month! They also just took part in the ThriveNorth business challenge for young entrepreneurs taking home the Audience Award and $5,000! BUTTER is the greenest hair salmon west of Prince George and they recycle 95% of their waste. 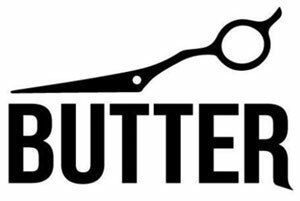 If you’ve ever had your hair cut at BUTTER then the clippings are being used in oil booms to clean up the next oil spill in Vancouver. If you get your hair coloured, the excess chemicals are mechanically dewatered and then incinerated to feed power into the BC Hydro grid. They recycle almost all of their waste in similar manners so as to tread lightly on the environment. Next time you’re at BUTTER Hair Salon remember to thank them for doing their part to clean up the environment.